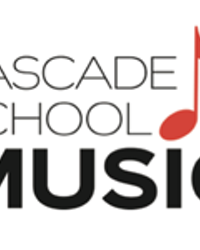 The Cascade School of Music has been creating budding musicians since 2002. The slogan for the Cascade School of Music is, "The Sound of Human Potential," and the school's goal is to infuse the youth and adults of Central Oregon with that potential. 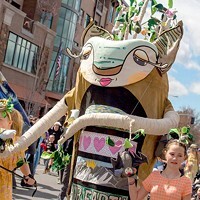 Bend in particular is a musical town with live music playing just about every night of the week—so a steady stream of new voices and talent is vital to the community. Founder and executive director Dillon Schneider founded the school back in 2002 for very good reasons. "After performing for years (I'm a jazz guitarist), I came to believe that the real value in music was for the maker, the musician, rather than the audience," says Schneider. "I love listening to music myself and listening can be an amazing experience, but actually making it yourself, engaging in the act of creation, is on a whole different plane. That's a big reason I started the school—my hope is to give more people the opportunity to make their own music and get the kind of experience I've been fortunate to have had. Musicians all understand this on one level or another. The faculty here at Cascade School of Music sure gets it." 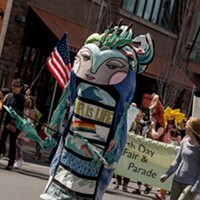 Bend is such a busy town with some event or outdoor activity happening constantly, that having a school of music here presents a unique set of difficulties. 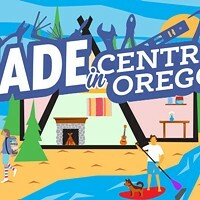 "Kids these days have so many extracurricular options, especially in Bend with the wide range of athletics and outdoor pursuits we have available," says Schneider. "It's hard (anywhere) to find families that understand that music requires a long-term commitment, perseverance and discipline, and doesn't really yield its treasures to the dabbler." Having such a wide variety of classes from strings to guitar to choral and quite a bit more, means the faculty has to be extremely varied in their disciplines. "We've been building our faculty now for 15 years and I'm very proud of who we have teaching here, but it hasn't been easy," says Schneider. "Great music educators are few and far between—if you have been following the orchestra programs here in the Bend schools you know they almost lost the programs at Pacific Crest and Cascade Middle Schools entirely because they couldn't find the right teacher anywhere." Teaching music isn't just about creating a new generation of musicians, and there is much more to the discipline than arts de-funders would have you believe. "There is a mountain of scientific research that points out the benefits of studying music," says Schneider. "Studying music impacts everything from cognitive development to emotional maturity and is linked to improved test scores, lower dropout rates, college admissions and many other metrics." The lessons learned from the Cascade School of Music aren't ones to be let go of after class or even graduation. The school is teaching the next generation of musicians the lessons they will have to practice for the rest of their lives. "You've got to practice and got to listen!" says Schneider. "There is no amount of wishful thinking that is going to move you towards musical competency—you have to spend time with the instrument. But it's worth it! People think that listening is a fixed skill, but your listening actually gets more accurate, perceptive and sophisticated with time and practice. I can hear things now that I couldn't hear 10 years ago. I love that." Funding a school like this in the area (or anywhere, really) isn't easy. Arts education is something that has seemed to become less important to state and federal funding over the years. Schneider says: "We don't get any public dollars, we have to do our own fundraising in order to stay afloat and that isn't easy—just look what happened to Arts Central. There are a lot of great organizations doing important work in our community and there is considerable competition for the philanthropic dollar." No musician left behind.